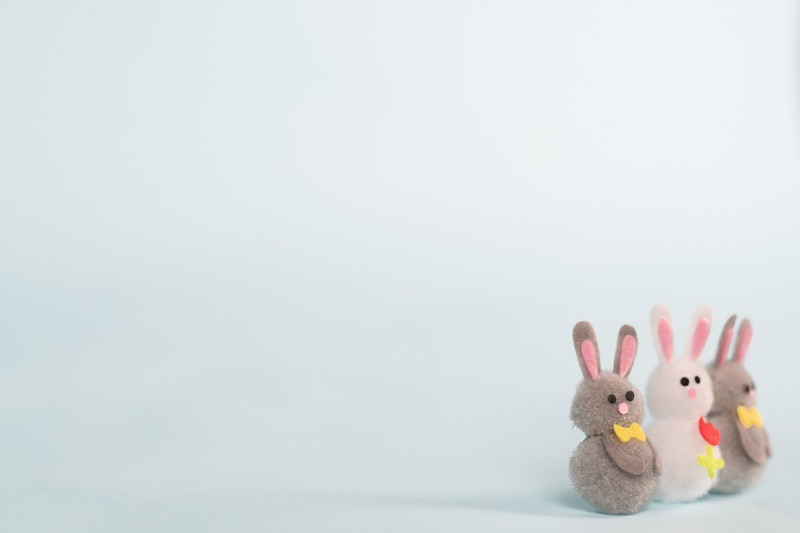 Easter has arrived, this can only mean one thing... Lots and lots of chocolate and quality time with your loved ones. Being the chocolate lover that I am, the Easter celebrations slightly out-way the magic of Christmas for me! And when there are sweet treats to be had, there is baking to be done! 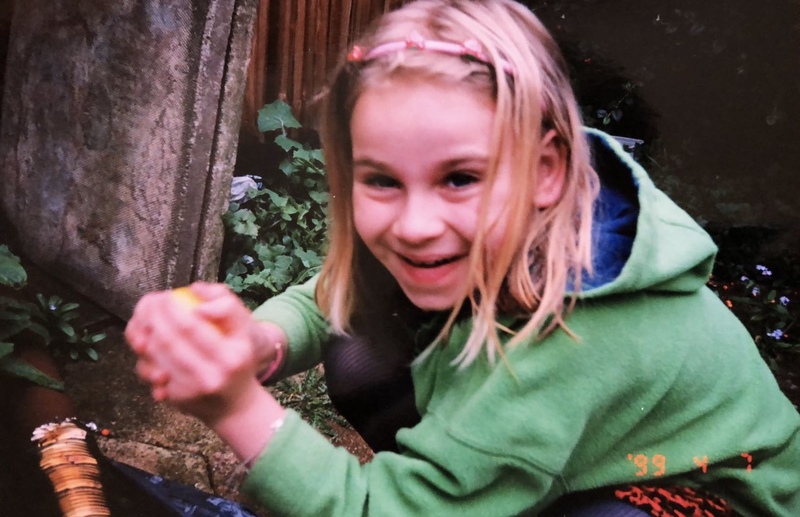 My love of Easter starts with the magical memories I have as a child, eagerly looking out of the window at my grans house and seeing all the brightly coloured little eggs glistening like gold nuggets in the garden. As far as the eye could see there were eggs; gold ones, pink ones, big ones, bunnies, chicks! It was like a chocolaty paradise! Every year without fail my gran would call out "Alana, come here quick! I have just seen the Easter Bunny!" I would sprint down stairs in my PJ's and join my gran peering out of the window but alas I never did catch a glimpse. My Gran was so good at spotting him! Then came the excruciating wait while the grownups would have a cup of tea and get dressed. I would look out the window planning my route to get as many eggs as I could until they were all ready. As soon as I was allowed, I was out the door like a flash! Racing around and popping all the delicious goodies into my basket. I remember as a child I wouldn’t eat a single one until I had found them all. My Easter eggs were like my treasure and I just didn’t want it to be gone! Sometimes I would save my Easter eggs for so long that they would go off and have to be thrown away! At least saving my chocolate treasure has taught me to save my real money treasure as an adult! What better to celebrate this delicious weekend with a special festive treat! I decided I wanted something fun, quick and delicious to start the weekend off right! 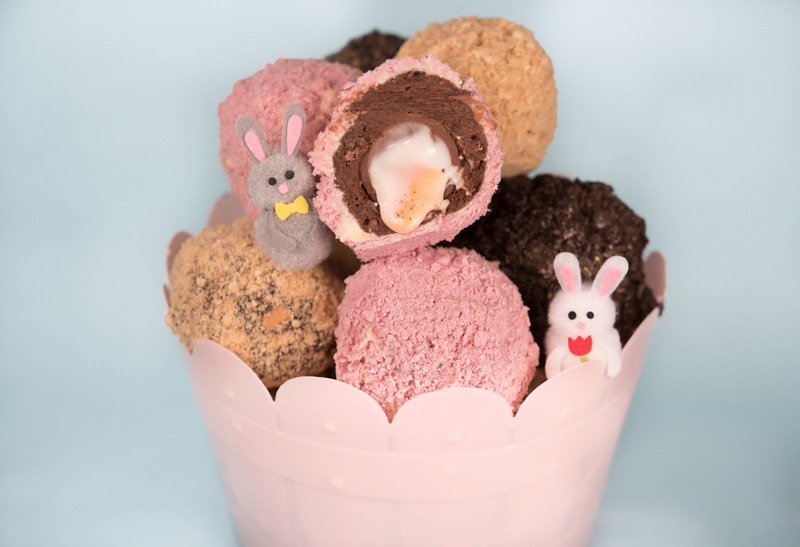 Using our Gooey Chocolate Ridiculously Rich brownies and a few other simple ingredients, I bring you my scrumptious Easter Scotch Eggs with a gooey Creme Egg filling and yummy Biscuit Crumb Coating. 3. 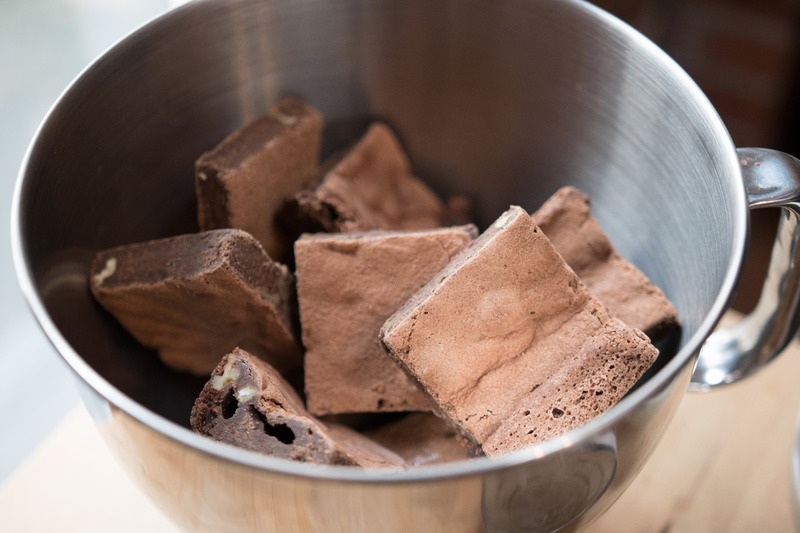 Once you are able to touch the outside of the brownie without it sticking to your hands, they are ready to roll! Roll into neat round shapes and set again for a 1 more hour in the fridge. 4. Melt your white chocolate over the hob or in a microwave (gently so that you don't burn it!) and crush your biscuits into a fine powder. Pour the crushed biscuits into a tray ready for rolling! 5. 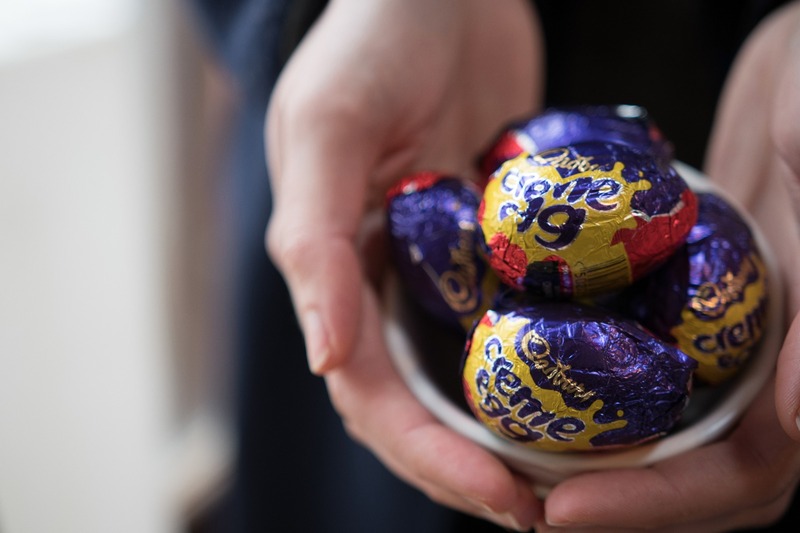 Fully coat your egg in the melted chocolate (easiest way is to hold your egg on a fork and dip into the chocolate) and then roll into your crushed biscuits and return one last time to the fridge to fully set. 6. Take them out of the fridge and Enjoy! When you cut them open, you will have that delicious gooey Creme Egg surrounded by our also gooey brownie. What more could you want for an Easter Treat! These are definitely the kind of Scotch Eggs I enjoy! And I hope you loved them too. 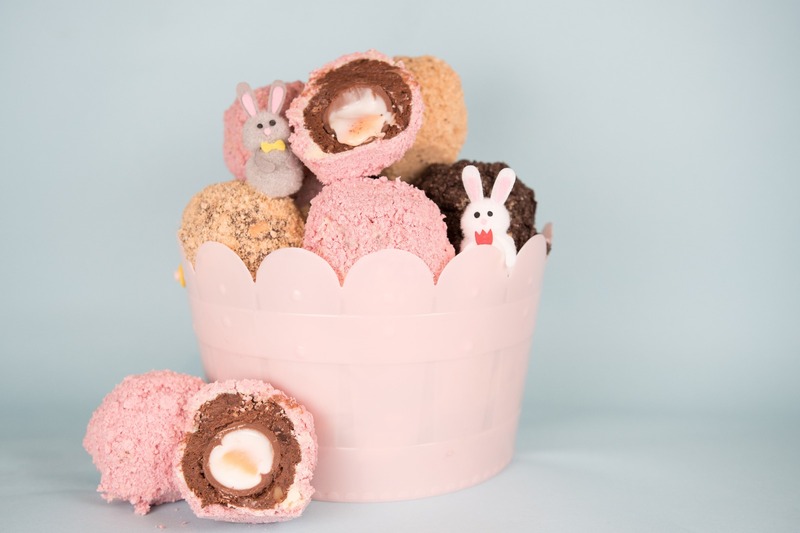 To share some of our Easter love, help yourself to 10% off a box of our Gooey Chocolate Brownies so you can make these yourself, simply add the code EasterBrownieTreat! at the checkout! Enjoy! If you make these at home, please don't forget to share using #bakingwithalana, I would love to see your pictures!